So I was just now going through a bunch a 45’s, trying desperately to serve up something for you people tonight. 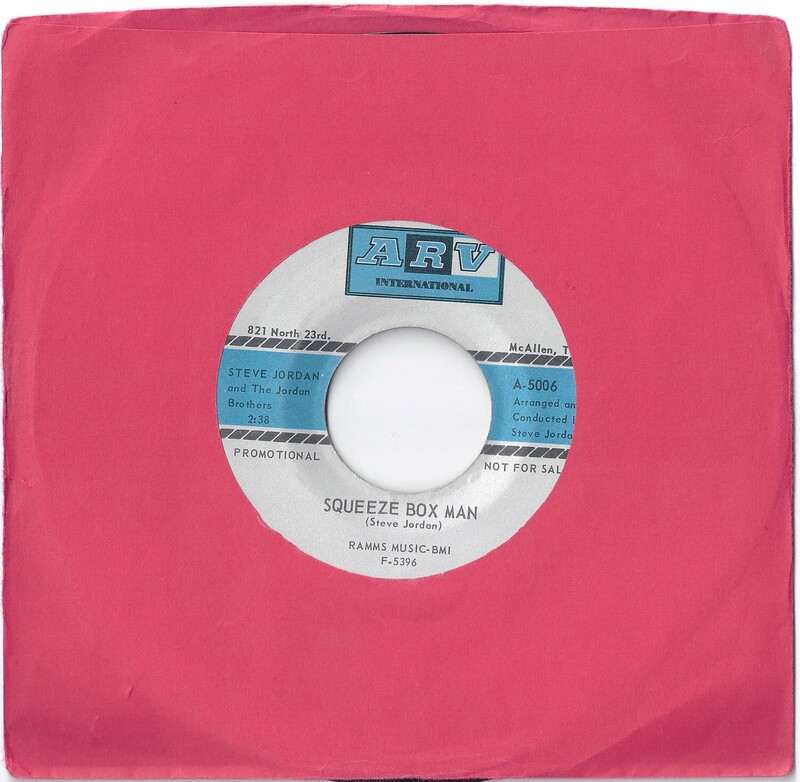 Lo and behold, I ran across this single that was appropriately placed in my “I am confused” pile of Latin 45’s I own. Found this joint a while back in the KRMX collection. At first glance, I probably wrote it off because of the name Steve Jordan and The Jordan Brothers. And when I listened, it sounded more like a Southern Baptist revival group being a bit more funky than they should be. Anyway, since I rediscovered it again, I thought I’d give these dudes a second chance by actually doing a bit more research than I had before. Glad I did. 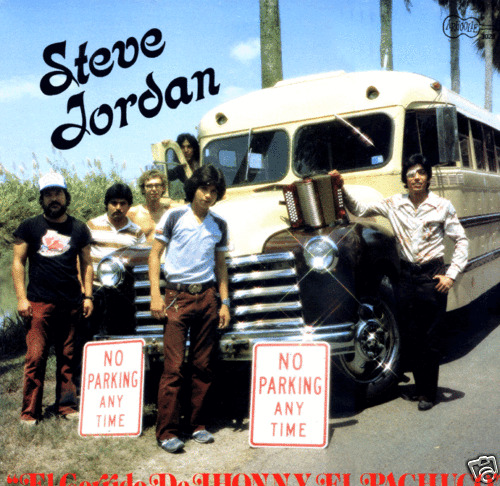 It turns out that Steve Jordan (who is also Esteban Jordan y Los Hermanos Jordon) is a Tex-Mex accordion legend who boasts a 5 decade career in the San Antonio Texas area. Not only that but his full length album La Bamba, which this single comes from, is sort of a Northern Soul collectors item. The songs on that LP have traditional rancheras, Bobby Bland covers, to the funkier squeeze box man that I threw up for you people. I even found a Japanese re-issue of it. Weird. Anyway, some great Tejano style funk/soul ala Flaco Jimenez or Little Joe and Latinaires. Nice sounding Texas rebel-rock with a Mexican influence. It’s gritty and I like it. Threw up an image from some other album of his. Esteban plays a mean Hoener and has a patch on his motherfuckin’ eye yo….awesome!!! Enjoy! A toda madre esta rola…this song is awesome. While growing up in the Rio Grande Valley Texas I’ d hear the accordian based Norteños etc but never really got into it like I do now (i.e. Tigres Del Norte) I´m glad you can find these gems. As a half Mexican living near Seattle I can attest to the Latin pulse of things and desire among non Hispanics for this kind of music and it IS strong! Keep up the good work. Gracias! absolutely fantastic stuff man. share the LUV. orsum.